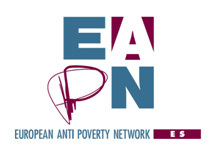 From 26 till 28 November, EAPN Spain held its General Assembly in Valencia, involving over 200 participants from EAPN networks from nearly all autnonomous regions. The Final report of the seminar is now available together with the Final Declaration – in Spanish. Read more here. For more information, please contact Isabel Allende – isabel.allende@eapn.es.